Inspired by a recent article by our very own Douglas Johnson, I thought I might also take a stab at answering some unanswered questions from Reddit that are many #mtgfinancer’s minds. Using the Weekly Ask MTGFinance Anything thread, I am going to try and answer all of the (currently) unanswered questions that may have been asked later in the week and got buried near the bottom. No question is a stupid question, so let’s dig our way up from the bottom and see what we have this week. Thanks everyone that helps me out, but be warned, I may have further questions. Crack it and sell now. The only item that will maintain significant value in the future in terms of full art lands is the sealed Zendikar fat packs. The land packs won’t be worth much more than MSRP for all lands in the pack because players can get lands in boosters. Plus we also need to consider that Oath will contain full arts in many supplemental products as well. These cards are all propped up by Standard currently. I recommend selling cards like Sunken Hollow, Canopy Vista, Liliana, Heretical Healer, and Greenwarden of Murasa sooner due to Pro Tour and new BFZ hype to maximize the price you sell at. I believe all of these cards will either maintain value or go up in time if cards like Runious Path and Smothering Abomination find a home in Standard. The only other Standard lands worth picking up right now are Khans trilands, which if you can get for $0.25 to $0.40 you should stock away in bulk. These tri-ands will be in great demand in the future because of all the Wedge Commander decks that people build and they are going to want copies for fixing. Do you guys believe holday giftboxes will affect the price of fatpacks? I understand they also come with land packs, but they’re packs of 20, where the fatpacks have packs of 80. The MRSP on the holday gift boxes is $24.99. Is it possible the giftboxes sell out everywhere and will sell for more than their MRSP, similar to the fatpacks? 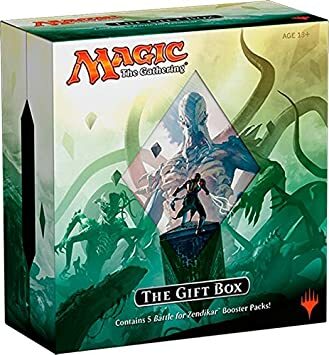 PUBLIC SERVICE ANNOUNCEMENT – No, holiday gift boxes will not affect the price of fat packs because the holiday gift boxes contain regular art lands, not full art lands. The gift boxes should sell at past or current levels of demand. Hey all! After some good trading on Gameday I managed to procure a Jace. My intention was that its easier to move 1 card than the 15 I traded to get him, when I eventually know what I want and find someone with the some stuff I want. My questions pertain to him. For maximum value should I try to move now or keep? If we assume relatively few packs of Origins will be opened between now and when he rotates, how much is there to lose and will he rebound after a slight dip considering his playability outside of this format? The fact is, I have the standard deck I want and am happy with, sideboard and all. As far as immediate gratification, I’m fine without trying to move him. However, if he won’t be this high within a year of rotating I might as well move now. I don’t have the intention to acquire more of him, that’s for sure. Move the Jace. It is at peak price right now due to a confluence of factors, which is explained in great detail by my fellow write Corbin in this neat little video he made on the topic. There is quite a bit to lose in terms of Jace’s price if you do not move him soon – Snapcaster was only around $30 at the time of his rotation from Standard, and I expect Jace to be at that price point or less by the time he rotates from Standard next year. My more precise prediction is that Jace lands between $20 to $25 at Origins rotation. If he still proves as popular in eternal format then as now, rotation would be the perfect time to pickup copies for future growth since double-faced walkers are going to be tough to print in the future. Otherwise, if you have extra copies around that you aren’t using than I recommend selling ASAP. Is it possible to link friends directly to my mtgprice.com collection? I’ve googled around and searched their site but I can’t find it at all. If not I’ll just use export and use deckbox but having a direct link on mtgprice would be super helpful. No, unfortunately we don’t have that feature of our collection manager just yet. For the current iteration of the website you will need to export and then send the file. However, we’ve been working very diligently on a mobile application for the website that should have many features that will make collection sharing better – trading with nearby users and remote trading should alleviate parts of the collection list sharing process. Though, having a button/permalink to your collection is also a nice feature. We’ll have to add it to our feature queue in the future. I have a foil promo Zada, Hedron Grinder (TCG: $6.65) and a foil promo Beastcaller Savant (TCG: $5.49) that I’d like to know what to do with – should I sell/trade them now or sit on them? What are these card’s potential long-term? I have heard Zada is useful EDH card and Beastcaller has potential in Modern Elves (whether that’s true or not)…what do you guys think these cards will be at post-Standard rotation? Zada and Beastcaller have gotten plenty of attention, Zada from the Commander crowd and Beastcaller from the constructed crowd. Personally, I believe that you should keep the promo Zada because even if he drops I don’t see it dropping too significantly over time. Foils in Commnader will always maintain value, and if he turns out to be a popular card in the format than the promo should also maintain value in the future. Beastcaller I’m not so sure about. I would sell now while BFZ demand is still high and supply hasn’t crashed the prices. It doesn’t seem like a Commander auto-include and I don’t think it quite gets there in constructed. I have a bunch of sealed booster boxes from the Return to Ravnica block (mostly RTR and thankfully only a couple DM) and several boxes of Conspiracy. It seems like the price hasn’t moved since I bought any of them. Any thoughts on when it will move or if there’s an opportunity to open them and trade/sell singles? Now this is an interesting question, where an entire article (or even series of articles) could be written about MTG sealed boxes and when is the best time to buy and sell sealed boxes . First, let’s take a look at what I and others have said on this topic in the past. 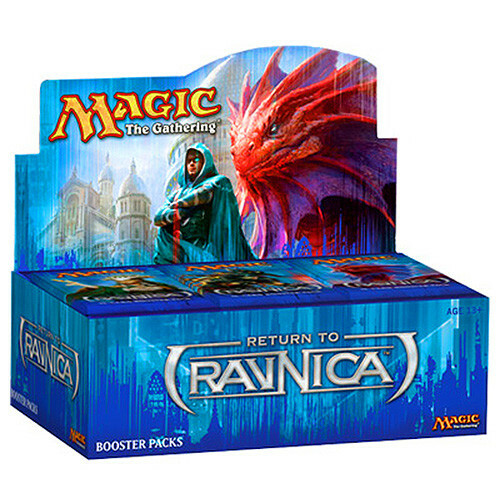 Sig and I have briefly discussed boxes as article subtopics, however James has focused two well written free articles on the value of sealed product and how booster boxes play a role in that. Now, the summary of all this information is that booster boxes will go up in value due to inflationary costs of packs at a normal rate except if they are extremely popular draft sets like Innistrad, which will go up even more over time. However, even if they are extremely popular to draft and have other in-demand eternal cards in the set, it will still take quite a while for you to get a turnaround on those boxes where it worth selling (factoring in shipping, fees, etc.). Sealed booster boxes are hard to move, and they don’t go up that much in value over the years especially if the set is post-Innistrad. My advice to those who are packing away extra booster boxes of sets is not to crack them, not to sell them off en-masse now, but to play the waiting game. Eventually, these boxes will go up at some point, for one reason or another, if they contain eternal playable cards like shock lands or the new baby Jace. However, sets like Dragon’s Maze are a lost cause, similar to Saviors of Kamigawa. How old Saviors is compared to the price of those boxes is abysmal when considering the age. Unpopular sets will still be that the in future, and it’s the nature of the beast that some sets will be stinkers throughout Magic’s history. What is your opinion on the filterlands (Twilight Mire etc.) ? Would you hold or sell them ? Filter lands are extremely risky to hold onto long term at this point. Any reprint is going to cause the current prices of these lands to crash significantly. At least if they’re reprinted in a Standard set, they only drop by half initially since the reprint hype will be in full swing. But once the market is saturated? You can bet they’ll all be in the single digits (barring the more popular ones, of course). However, for the short term the price should hold unless a surprise reprint happens in Commander 2015 which would be pretty unexpected. They will probably spike during the next Modern season next year, which will be the best time to get out. In summary, my advice is to hold until the next Modern spike next year and sell during the hype of the season. Does anyone think the Theros block temples will swing up in price eventually? I know that most stuff hits an all-time low at rotation, and many of the temples are sitting under $1. I know they likely won’t see much (if any) use in constructed formats, but do you think they’ll end up higher than they are now? Yes, Theros temples will start going back up in price eventually, but it won’t be a swing but a slow crawl as the years go on. They have a high chance of being reprinted as well due to Scry now being an evergreen ability. So, they should go up slowly over time until the reprint. Many of them should go up past $1 (until the reprint) since they are all used in Commander in one way or another as budget lands but not enough that I would suggest picking them up en-masse. You can get “Kiora, Master of the Depths” for $7 or less (TCGPlayer), is this a good time to pick a couple of Kioras or will she keep falling? Usually the floor for “meh” planeswalkers is around $5 but I am surprised about Kiora been close to the bottom so fast. No, I don’t think now is the time to pickup Kioras. It was a no-show at the Pro Tour, so she should only go down in price more from here on out, especially if she makes another reappearance in the next duel deck product. If you want BFZ Kiora, I would suggest waiting until around December, when we start hitting peak BFZ supply. Hello everybody! My friend and I recently traded for a Mox, but due to inexperience and not understanding everything being said, we ended up with a “border inked” Unlimited Mox Sapphire. Now the border inking is not something we had taken into consideration, so we were wondering if getting it entirely altered through something like Klug alters would be a worthwhile endeavor? We’re just a little lost and would like some advice from some people with more knowledge than us. Thanks! Very interesting question! I’m sure an article (or even series of articles) could be written on the value of alterations and what the market for alterations would look like. A great topic for this series would be your situation, where we have an HP/MP card that can be touched up and what the price of it would be after the alter. I’m glad that this question was asked, because I have a friend that went ahead and did this for a foil Worldwake Jace, the Mind Sculptor. Here is the Klug posting for the story behind it and what it looks like after Klug touched it up. 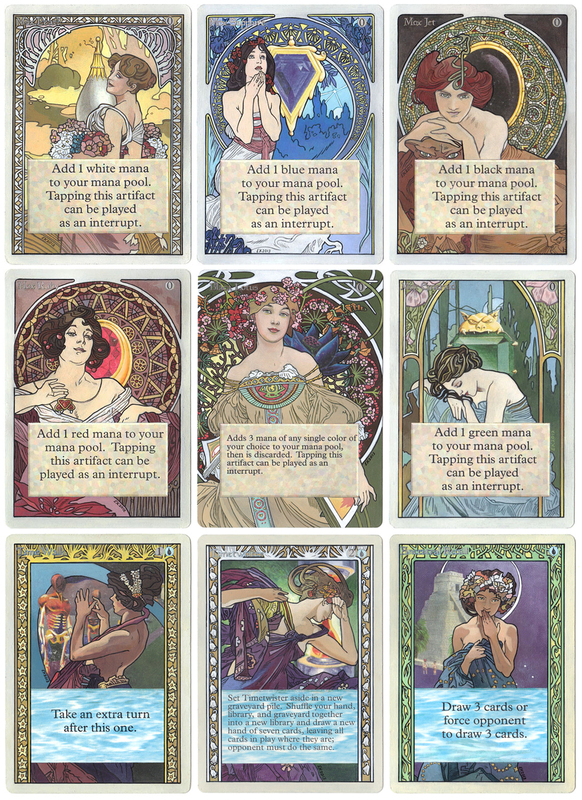 Now, this was a restoration-to-alteration rather than an alteration but I’m sure that this situation will be very close to what you want for the Mox. I’m sure if my friend tried to sell he would get a price very close to the current foil WWK Jace for the work that Klug did to the card. Basically, the answer to your question is yes – I highly recommend that you get your card altered by Klug because it will look great and add value to the card. The waiting list is pretty long though, so be prepared to wait in the backlog for some time. Knight of the Reliquary had a nice spike after BFZ was released, and has pretty well kept that high price in the weeks since. Where do you see this card going in the next six months? I don’t see Knight of the Reliquary dropping until its next reprint. Retreat to Coralhelm is an awesome card with Knight that has spawned a new Modern deck, one that I don’t see being replaced anytime soon. I would say hold, and if you’re looking to get out of Knights to wait until peak Modern season next year. That way, if the deck does well at a huge event you can sell into the spike that Knight is sure to experience. What’s Dragonlord Ojutai looking like? In the last week or so, I’ve seen it drop about $3. Doesn’t seem like Jeskai lists are running it anymore. Should I dump them now? Yes, get rid of Dragonlord Ojutai if you’re not using him for Standard. He might experience another spike when Khans / Fate Reforged rotates from Standard but ultimately he will drop like a rock once Dragons rotates from Standard. So there we are, as of Sunday night I’ve answered all of the unanswered questions for this week’s Ask MTGFinance Anything. I hope these answers provide some insight to everyone for my current thinking on several topics, and that they also continue to provide discussion on the future trends of topics in #mtgfinance. As always, thanks for reading. I happen to have acquired a few Modern staples from older sets in the form of Kiki-Jiki, Mirror Breaker from Champions of Kamigawa and Cryptic Command from Lorwyn. However, the price of these cards appear to be dropping, even though the MM15 supply has long since passed its peak supply. Should I sell those cards ASAP (via buylist) because will those cards continue to drop, or will they experience a rebound soon by January? So the best time to get out of the Modern staples that you’re looking to move is going to be mid-January, after the staples found in Pro Tour successful decks start spiking in late January and early February from the Pro Tour. This way, players are still actively seeking parts for decks that they will play potentially through May at the bigger events. theres gotta be something coming in oath that will make kiora playable. she’s pretty much at bottom and i feel like there is only room for her to gain. I wouldnt suggest picking any up but i wouldnt trade in any copies you have either. Is there any possibility that regular (non-full art) lands in the Holiday Box command a premium because they’re sort of niche and will end up much rarer than the full arts? Or does no one really care because they look just like boring regular lands? I don’t think anyone cares about non-full art, since they look just like all the other lands printed throughout Magic’s history. When Zendikar was out, nobody was looking for regular art lands from the precons or other products just because they were rarer. I appreciate you reaching out to the community for your column this week, but one of the things that bugs me most after reading this article is that every question you picked clearly demonstrated that their author did zero thinking for themselves. That’s OK, it makes the questions more open ended which allows for more discussion. I mean, maybe they did do their research, and that two sentence question is the culmination of hours of research where they received conflicting opinions for both sides of their question which basically comes to down to sell or not to sell, or to buy or not to buy (at least on this website). Thank you for the the column you wrote. I have done a little research for my question and found it to be that spring 2016 will be “Modern” season with the events surrounding that time. The hype for the Modern should be at it’s highest because the PT will be in that format. That being said, I own good modern staple (affinity deck and merfolk deck). I’ve been holding to move these cards for an opportune time. I’ve basically come to the conclusion that spring should be the best time for me to go about selling. My question is mainly for Mox Opal. Is it possible that the correct play is to wait till August’s GPs to sell them or just move them spring 2016. I guess the I’m trying to ponder the difference between Spring 2016 and Fall”ish” 2016 to move modern cards. In the back of my mind, I’m also thinking about the incoming 2017 Modern so trying to hit a spike before would be great. What is a land brick?